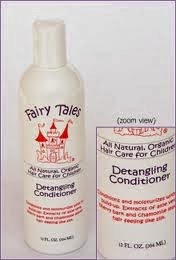 I couldn't wait to try Fairy tails hair care products for my daughter who has super curly knotted up hair. We are always struggling with washing it, brushing it, styling it. Their is not a dull moment when we get ready to do this process. We wash her hair every other night and I have to say I love this product ever since we have been using it we have been able to keep Jordyn's hair down. It really does get rid of the knots and tangles. It's so much easier and I really love the conditioner that is probably one of my favorites. We use about a nickel size amount that does the job and then just use the comb while still in the shower and rinse. My husband Robert and I launched this business with Rosemary Repel – the first line of natural hair care products proven to help prevent head lice using organic herbs of rosemary, tea tree, peppermint, lavender and geranium oils. We saw a need in our community and developed a natural solution that has helped thousands of families live lice free! I am impressed from your blog. 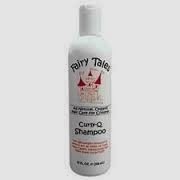 For the best lice repel shampoo options, purchase Fairy Tales shampoo and conditioner. Fairy tales shampoo is hundred percent effective for your hair. For more information please visit here Fairy Tales Shampoo effect.